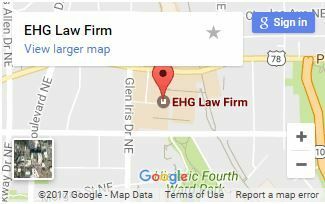 EHG Law Firm provides legal services to individuals charged with DUI, traffic citations and other offenses related to drugs and alcohol. EHG law firm provides legal services to those charged with traffic, drug or alcohol related offenses. My clients are looking for an attorney who is readily available to address their unique concerns throughout the life of the case. When my client has a question, he or she wants to speak with me directly, and not be routed through an answering service. I am the primary point of contact for my clients and I encourage regular contact on my cell phone, via text, phone or email. At the outset, I engage in a lengthy and meaningful discussion with my client about his or her individual concerns regarding the pending criminal charges. Regardless of complexity, for every case there are many different possible outcomes that can have a variety of implications for my client. I tell my client what he or she can expect, and discuss the specific motions, trial strategies and negotiations that best address my client’s priorities. My clients know that I will provide prompt updates that include straightforward explanations of what has happened in his or her case, along with what our options will be moving forward. I invest a great deal of time explaining important decisions that must be made and I provide my clients with the information necessary to make these critical decisions, in a timely fashion. My clients want an attorney who is not only extremely effective in the courtroom and driven to achieve the best possible results, but also someone who can provide unrivaled client service. Whether you are facing a serious criminal offense or traffic matter, the prospect of going to court is terrifying for almost everyone. Your attorney should make this experience as painless as possible. This starts at the very beginning of the process — hiring me. 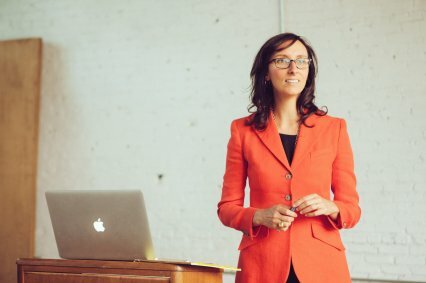 I routinely schedule in-person consultations with clients, and in fact, that is my preference. However, I understand that time is a precious and a finite resource. For my clients who may not have the time to come and meet in person, I have developed a streamlined process that provides those individuals with the option of engaging my services from a mobile device. To stay in contact with my clients, I regularly communicate by phone, email, and text throughout the life of the case and beyond. I do not use an answering service to manage my client calls. All of my clients have direct access to me without having to go through my secretary first. I describe an ideal attorney-client relationship as having easy and frictionless communication with my client. In some situations, it makes sense for the client to include family or close confidants in our discussions for advice about important legal decisions. In these instances, it is not uncommon for parents or loved ones to contact me directly to have meaningful conversations about the best strategy to pursue. Honest and open client communication is essential to the attorney-client relationship, and I have made it the bedrock of my law practice. But communication is only part of what builds a successful attorney-client relationship. Engaging an attorney that truly cares about the outcome of the case is just as important. Clients can readily discern when their attorney is not genuinely invested in the case, and when that basic part of the attorney-client relationship is missing, it becomes impossible for the client to proceed with confidence. I meticulously maintain clear and accessible channels of communication with my clients. My clients know that I will work tirelessly for his or her best interests, and I make sure that he or she understands all of the relevant information so that they are prepared to make the best decisions about the case. Even after a case is closed my clients are encouraged to save my contact information and reach out should any questions arise in the future. Can I fight my traffic accident ticket in Atlanta Municipal Court? How do I fight a traffic ticket in Atlanta? How much will my fine be in Atlanta Municipal Court?